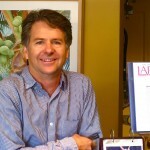 In a small work shop store in Laguna Beach, Kirk Milette creates a unique line of jewelry. Engagement and wedding rings, can be custom ordered made personally for you or selected from the display. You will find a hand crafted collection of figurative, one of a kind pieces and nature inspired originals. The cases are filled with a nice selection of designs he has created. Some are made around rare and exotic pearls other designs are complemented with Diamonds or other collectable gems. Set in a variety of 14K or 18K gold, a few platinum and single set sterling silver pendants and rings are scattered in the mix of originals. There are more than a hundred other reproduced charms and designs in sterling silver and 14K gold. Many themed charms including pieces representing Laguna Beach and the beach area. All created from designs he hand sculpted and now reproduced from those original pieces. Kirk Milette custom designs jewelry, specializing in Art Nouveau styled, hand made settings with natural Abalone Pearls and working with: Alexandrite, Color Change Sapphire, Gem Chrysocolla and Rainbow Moonstone, naming a few of the favorites he tries to keep in the cases. Some of these gemstones were found or mined in the 1980’s or before. Kirk will locate specific diamonds or other gems, if the requested stones are not on hand. His collection and contacts acquired over the past few decades helps make shopping at Kirk Milette Jewelry a personal and rewarding experience. 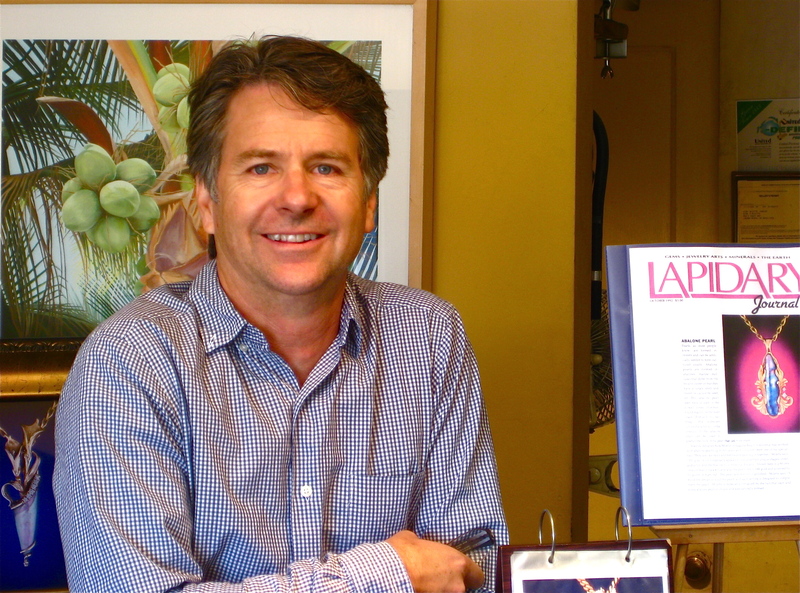 Kirk Milette started creating jewelry professionally in 1976 in Laguna Beach California. His original jewelry designs were featured in: Modern Jeweler, Lapidary Journal, an article in The Los Angeles Times, he is also listed in who’s who of business professionals and Biltmore’s Who’s Who – Jewelry Designers. Each summer Kirk Milette moves everything out to the Sawdust Art Festival (all of July and August), for the 12 hour / 7 day a week show. Kirk Milette Jewelry is located at 830 South Coast Highway in Laguna Beach, CA. Please call (949) 497-4653 (497-GOLD) for specific details or appointment information.